“Winter Blonde” with a faux tousled bob was about as right (on) as it gets. And here’s how you can get the winning look, too…. 1 – Wash pre-lightened hair with Blonde Life Shampoo and treat with Blonde Life Brightening Masque. 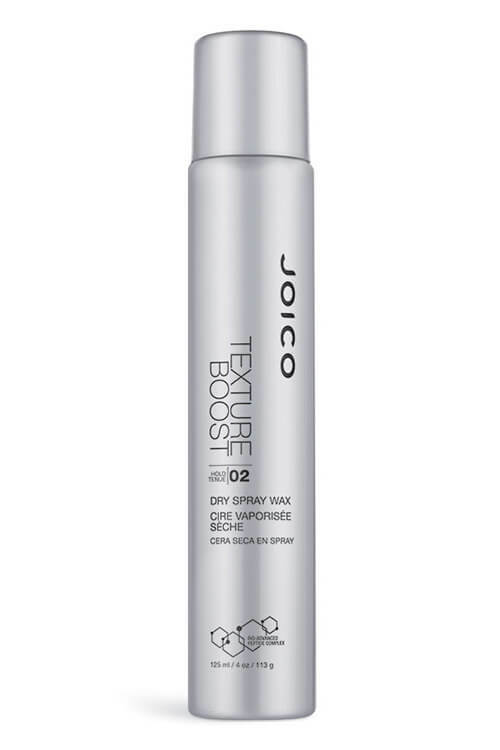 This will remove all color build-up and brassiness while nourishing and repairing hair. 2 – Next, apply a mixture of Lumishine 10SB and 5 Volume Developer onto wet hair. 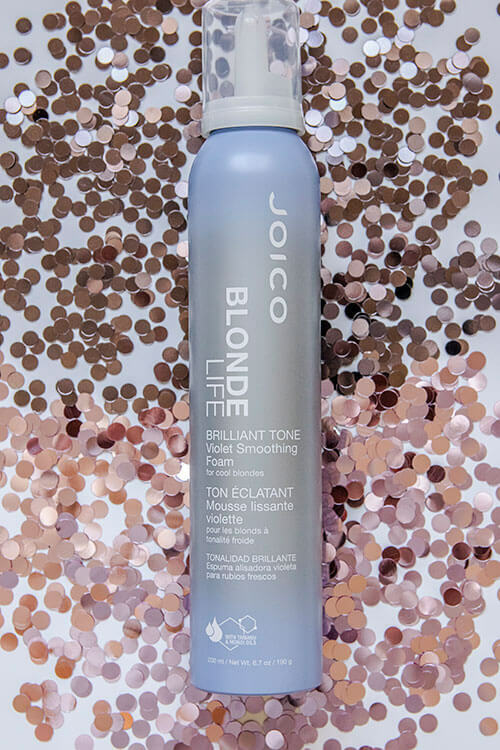 Let process for 5 minutes, then rinse, using Joico Blonde Life Shampoo and Conditioner. 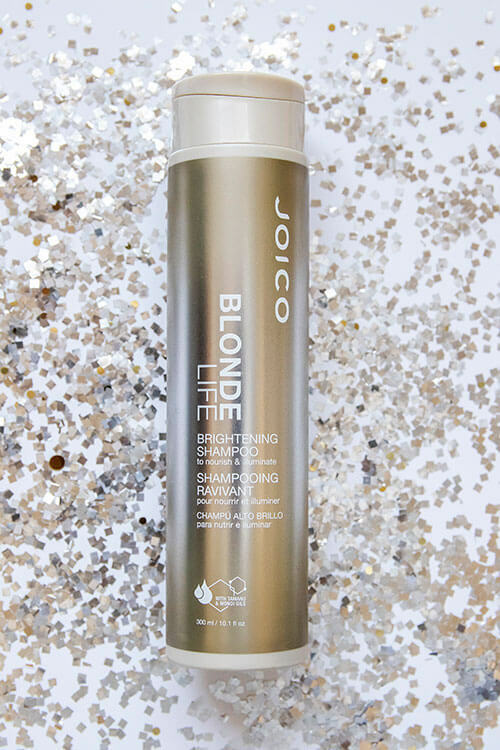 3 – Begin by spraying the Blonde Life Brightening Veil over towel-dried hair. Comb the product through to incorporate. 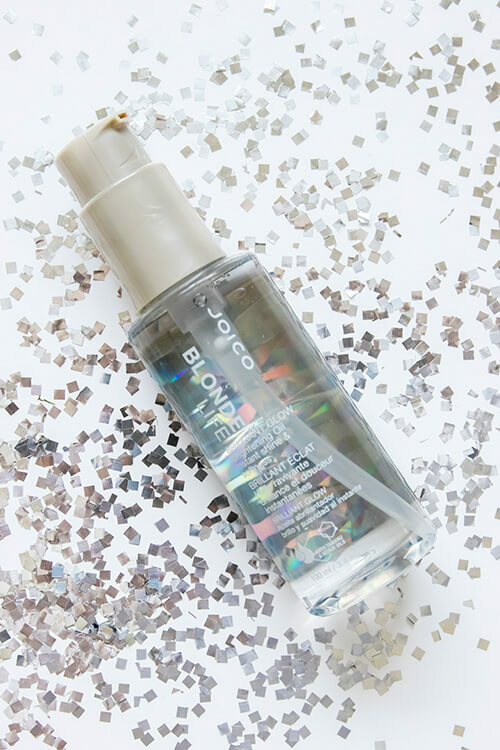 Next, incorporate the Brilliant Tone Violet Foam Styler. Shake well and dispense a small amount in hands. Apply evenly. 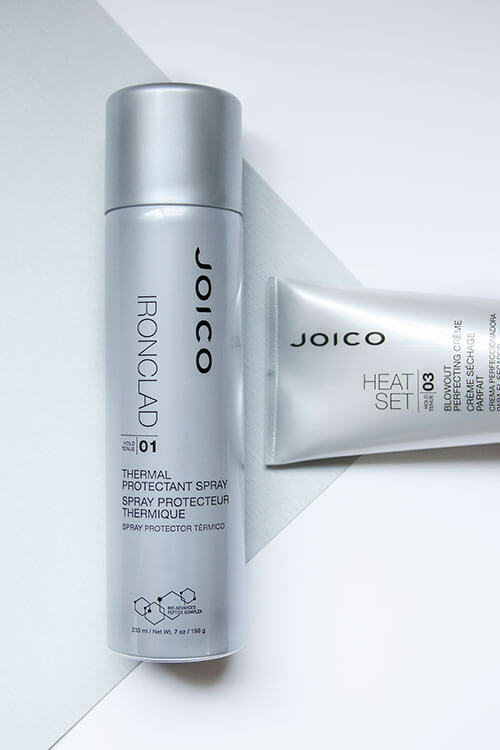 4– Before drying, spray a liberal layer of Ironclad Thermal Protectant Spray, holding the can 8-10 inches from the face, and spritz hair liberally before any exposure to heat styling. Then, using a medium-size round brush, blow-dry the hair under and away from the face. 5 – Using a 1-inch curling iron throughout, clip and set the curls, allowing them to cool down. After removing clips, spray Texture Boost Dry Spray Wax throughout the curled hair before brushing it out. This allows for grip and control when brushing, yielding perfect waves. Secure each curl with a bobby pin at the nape of the head to create a tousled bob look. Finish with JoiMist Firm Finishing Spray for the longest hold and shine possible.